Accompanying with the Internet wave, a plethora of literature about online and offline information search behaviour has emerged, in particular in the domains of consumer and travel research. However, little scholarly attention falls into how tourism and hotel management college students search internship information. The current study attempts to investigate this under-researched context. 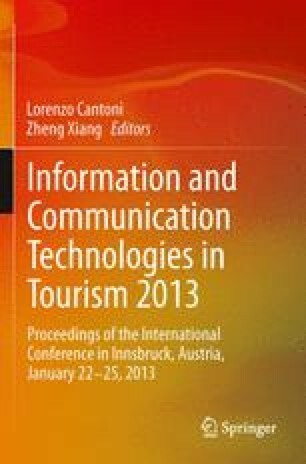 Drawing on the findings from a self-administered survey with 146 tourism and hotel management college students in Hong Kong, this study confirms that the Internet is a major channel for students to search internship information whilst offline channel has not been abandoned. Moreover, students with internship experience exhibited a higher tendency to search internship information through company websites. The authors would like to thank the three anonymous reviewers for their constructive comments on an earlier version of this paper. Osborne, J. W. & Overbay, A. (2004). The power of outliers (and why researchers should ALWAYS check for them). Practical Assessment, Research & Evaluation 9(6). Retrieved from http://pareonline.net/getvn.asp?v=9&n=6.